Where else but in Wotton would you find such a happy conjunction of scenery, community and activities? From your own front door you can walk, run, or cycle along the many paths and lanes through the fields and woods which surround the town. It was this scenery that persuaded us to settle here in Wotton in the sixties, but very soon we realized that there was so much more to the town. Growing up in a stable community with excellent schools our children made friends for life. We mothers also made friends: at the Play Group in Synwell; through the Baby Sitting Circle; at meetings of the Housewives’ Register which organised annual floats for the Wotton Carnival with fun for the children and their parents in the parties that followed. Now as grandparents we appreciate that life has just got better and better here. The opportunities for every generation to join in cultural and sporting activities have increased year by year. We can make music, dance, practise craft work at Under the Edge Arts or enjoy an amazing standard of professional performance there. The latest films from the UK and abroad are shown at the Electric Picture House, so we have no need to travel further afield to keep up to date. So, what makes Wotton tick? The answer has to be the community. All the above activities are run by volunteers. Just look at the success of the swimming pool for the latest example. 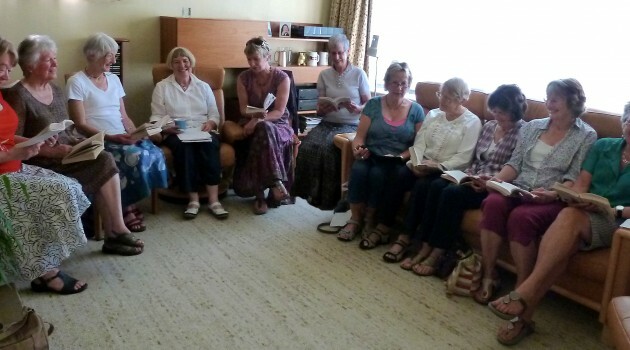 On a personal note the community was a great support to me during a recent year of cancer treatment, in particular the group of friends who share a common interest in literature and have formed a Book Group which, appropriately, meets in winter. So there you have it, whether it’s summer sunshine or grey winter weather there’s always something to lighten your day if you live in Wotton.